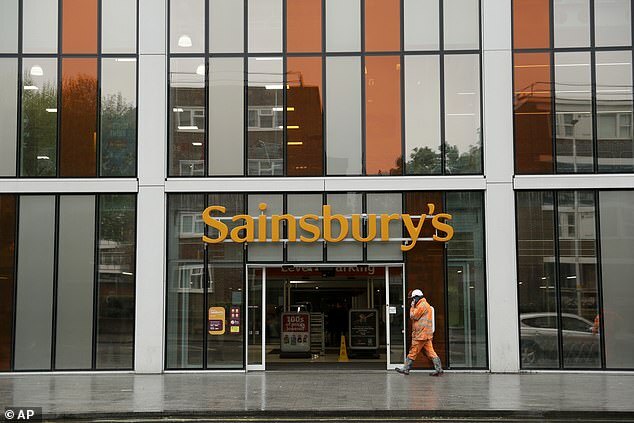 Sainsbury is set for a major shake-up under new chairman Martin Scicluna if its £14billion merger with Asda is blocked, analysts have warned. Research by investment bank Jefferies suggested there is just a 20 per cent chance the Competition And Markets Authority (CMA) will have a change of heart and wave through the supermarkets’ tie-up. The report suggested Asda would be snapped up by a private equity buyer if the merger does not go ahead, with its US owner Walmart keen to make a quick exit from the UK. And it said Sainsbury would be forced into a major overhaul as it loses further ground to arch rival Tesco. James Grzinic, equity analyst at Jefferies, said: ‘In reality, we struggle to assume anything beyond a 20 per cent chance of a drastic rethink by the CMA. Speculation is mounting that Sainsbury’s chief executive Mike Coupe, 58, could be replaced in the coming months if the deal is blocked. Scicluna, 68, recently succeeded David Tyler, 66, as chairman. Grzinic said that ‘Scicluna is likely to preside over wider changes in the group’ if the deal with Asda falls apart. ‘In particular, the risk of a reinvigorated Tesco continuing to recover customers historically lost to Sainsbury’s would need addressing with urgency,’ he added. Sainsbury’s has also struggled against discounters Aldi and Lidl.